The new dashboard has been introduced to offer greater visibility of key data and visualisation customisation enhancements. The following provides the steps to configure and provide access for different user groups. There are three default dashboards available to choose for the Home Page. Select from the drop-down list and choose how to display. Click arrows icon to expand view to full screen e.g. Large monitor in IT department. Query Access – click link to access the relevant data source query. Time – change to view data for a different time period. 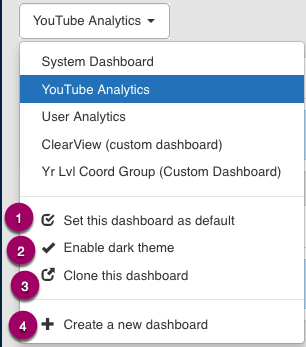 Option to choose which dashboard is the default and a colour theme for each dashboard. 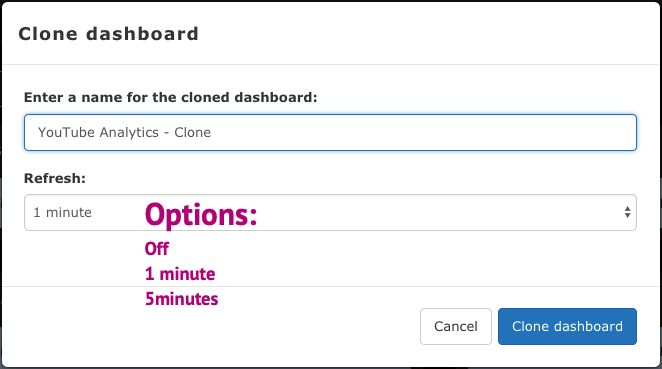 Rename the cloned dashboard and choose a time to refresh the data on the dashboard. 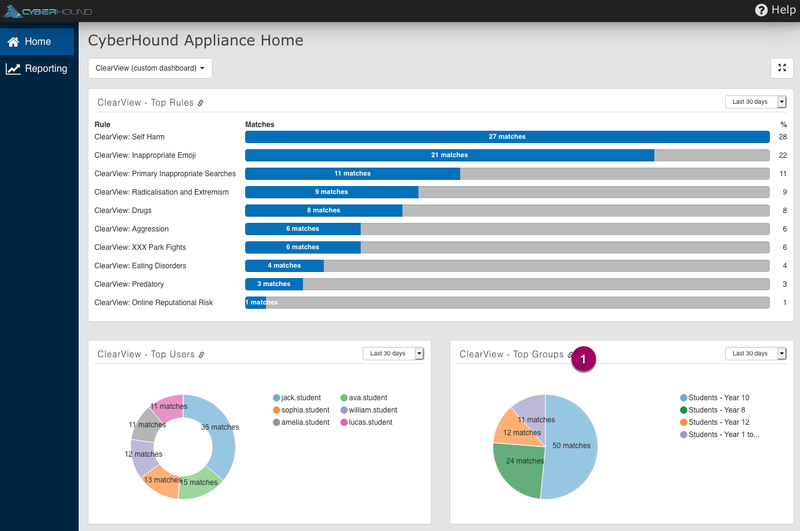 Design a custom dashboard to meet the needs of different user groups. Name the dashboard and select a time to refresh the data on the dashboard. Once you have created the new dashboard, choose the layout and add the widgets. Simply click in the field where you want the data displayed. You can add multiple to each field or choose not to populate a field. When you click on the ‘+ Add widget’ field, there is a list to choose from and you can select any combination. Each widget provides options to select how the data will be viewed. The following is an example of the most common options available. Depending on the widget, the options may vary. 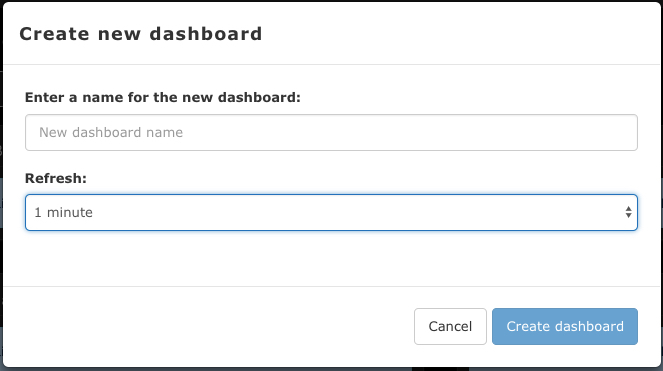 When saved the new dashboard will be available in the drop-down list. Options to set as default or change to dark theme etc. There is an option to provide the new dashboard for any group that has access to view data sources. User view as per the permissions set above. The users datasource permission will allow them to access the query directly from the link on the dashboard view.